An adventure for your classroom! What have I done my first two official days off? Grad work, working out, and working on crafts! I've been busy, but it's SO nice to know I can do it on my own schedule with summer days! I wanted to pop in today before I go grocery shopping to link up with a great linky that has just started and I am SO excited abut! This amazing new linky with Reading Towards the Stars! When I was thinking of what book I was going to review, I knew I HAD to do this one. All of my followers out there, I know you probably could've guessed it before I said it.. but it's because I LOVEEEEE this book. 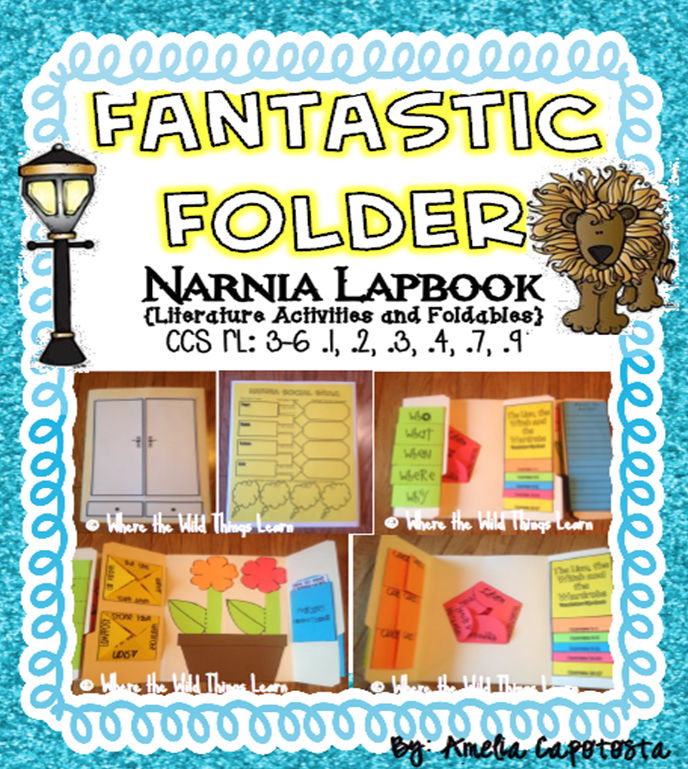 I always blog about my Fantastic Folder Narnia Lapbook that we wrap up the year with, but I've never really gone into detail as to WHY I use The Lion, the Witch, and the Wardrobe in my classroom. So here's my review on WHY! I still remember when I first read this book. It was the summer between my 4th and 5th grade year, and I was at that age where finding books I like was getting hard. Most books were either "too young" for me, or my mom wouldn't let me read them because they were "too mature." It was so hard to find anything! My mom suggested I read LWW, so I listened to mom, and I did! Let me tell you, it was LOVE at first page. A book filled with a land of fantasy where there is danger, evil, kindness, talking creatures, war, and love? I was hooked! It's for these same reasons that boys and girls alike in my class love reading this story every single year. The four Pevensie children, Peter, Susan, Edmund, and Lucy are sent away from their homes in London, to the Professors house in the London countryside because of the air raids in WWII. <<I LOVE that the book begins with this. Right away, we tie in history and my students want to learn more! I have students spend a little time researching about who was bombing them and what was going on in the world. It makes for great discussions and connections. When the children arrive at the Professors house they find that it is a very old house, but a mansion. They spend time exploring the many halls and rooms, and are intrigued by it all. Then, one day, while playing hide and seek, the youngest, most curious, and loving sibling Lucy, hides in a wardrobe in an empty room. It is through this wardrobe that she discovers Narnia. Here she meets Mr. Tumnus, a faun, who tells her all about the evil White Witch who claims she is queen and rules over Narnia, making it always winter and never Christmas! He tells her of the prophecy that 2 sons of Adam and 2 daughters of Eve need to fill the thrones at Cair Paravel to break the spell of the white witch. Eventually, her 3 siblings get into Narnia with her, and the magical tale of adventure, suspense, good vs. evil, forgiveness, and righteousness begins. Hooked yet? You should definitely read it if you haven't already! There are SO many teachable moments in this book. The themes are so powerful. My students always produce such wonderful writings of good conquering evil, being able to forgive those who have wronged you, the power of family, sacrifice, and so many other themes that you find in the story. It is a great way to introduce or review Figurative Language because the book is rich in it and the students can understand it. It is FILLED with symbolism and imagery that even 4th graders can understand! Students vocabulary is broadened by the difference in the 1940s way of talking combined with the British accents. C.S. Lewis describes everything in such vivid detail, including his characters, so students can get a true picture of the story in their mind. Read it, teach it, love it. You won't be sorry, I promise! I use my Fantastic Folder and a Powerpoint that has a series of chapter review questions, writing activities, discussion activities, and extension activities to teach this book (I will be making this Powerpoint available on TPT soon, I promise!) Even if you don't teach it in this way, at least use it as a read aloud. Thank you for linking up! I remember reading that book and being swept away into another world! I can't wait for my son and daughter to be old enough to read and appreciate it. Whoop! Whoop! Look at the newest little picture in your followers log:))))))) Sorry, didn't know I wasn't following:/ Love your lapbook! It's awesome! Do you have a generic version that goes with any book????? YAY! Glad to have you following!! :) I am actually working on a generic version for fiction and one for nonfiction as we speak! I hope to have them done by the end of next week :) I will blog about them and let you know when they are posted! They are so much fun! I so love this book! 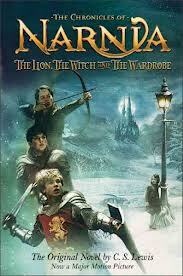 I am a little addicted to the Narnia series!